Hey OTBM readers! Last week it hit me how quick Fall is coming! Fall is without a doubt my favorite time of year! One of my favorite things about Fall is all the yummy foods that come with all the Holiday’s and the cooler weather! Soups, warm homemade breads, yummy baked goods, etc! I got thinking how much easier my Bosch makes all that yummy goodness possible and I decided to put together this awesome prize package for one lucky reader! 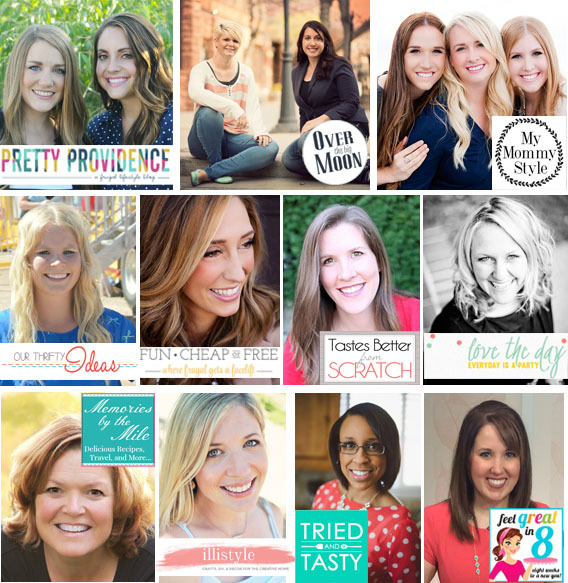 I recruited some of my blogger friends to help make this giveaway possible – they are all fabulous ladies, with fabulous blogs! You should really go check them all out! Just click on their picture below to be directed to their blog! This giveaway is open to US residents only and will run from midnight August 20th until 11:59pm on August 26th! To enter, use the Rafflecopter below! I would use it to make homemade apple butter, granola bars and bread!!! I’d make lots wheat bread! I’d make some cookies, of course! Just found a new Pumpkin Cookie recipe I would love to try! I would make yummy bread! Or cookies…probably both. I would make coconut bread and then heavy duty hand cleaner! The first thing I would make would be divinity.